If you've been following along on any of my other social media outlets recently, you know I've fallen in love with Sabra hummus. 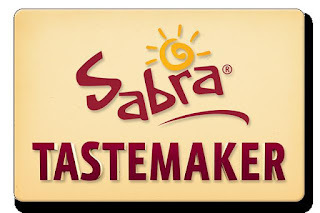 I was invited to be a Sabra Tastemaker this year and I have been having so much fun with them so far. They even came out to my workplace and offered free hummus samples to my entire company! It was so much fun to see people trying their hummus, many for the first time! As a Sabra Tastemaker, I'll also be working to create some fun new recipes using their product. There are so many easy ways to integrate hummus into some of your favorite recipes and I'm looking forward to sharing what I've come up with here on the blog. 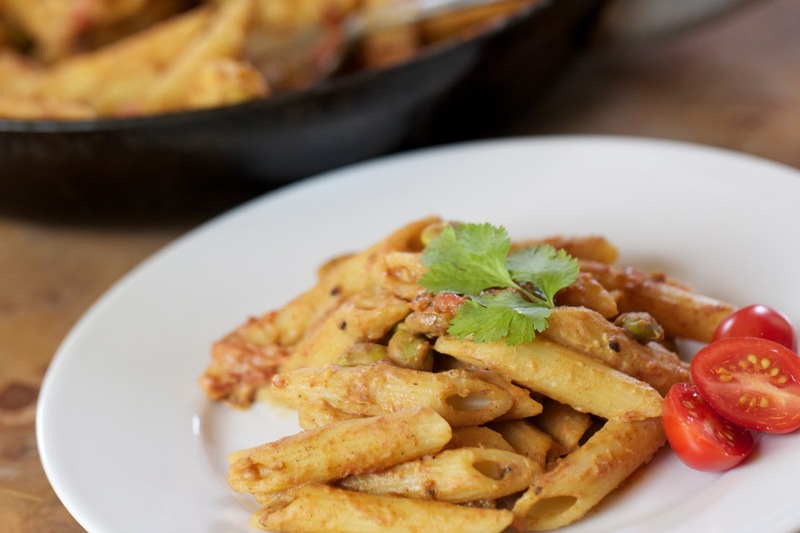 I knew immediately as I started thinking about recipe ideas that I wanted to try something with pasta. After making the stuffed chicken breast recipe from Sabra's website, I knew it would be a great combination with pasta too. 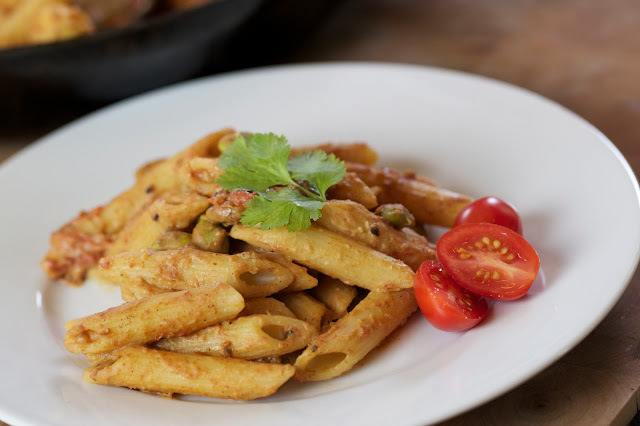 I was originally thinking a stuffed pasta (which I might still do) but decided to integrate the hummus directly into a sauce, making a quick and easy dinner. I sauteed cherry tomatoes with some olive oil in a very hot pan, getting some caramelized edges before adding in some edamame and spices. I used a small amount of milk to thin the hummus and then it mixed perfectly with the tomatoes to create an intense sauce. I used the Roasted Garlic Hummus, one of my favorites but you could use almost any of their flavors to create multiple variations of this great dish. Have some fun with it and come back to let me know how it goes! Cook pasta according to package directions. Drain and set aside. In a small bowl whisk together the hummus and milk. Heat the olive oil in a large skillet over high heat. Add tomatoes and season with salt and pepper. 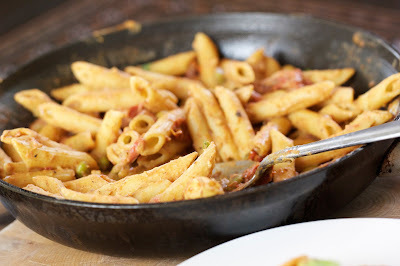 Cook over high heat until the tomatoes start to blacken on the edges, stirring skillet occasionally. Mix in the edamame and paprika. Add the pasta and hummus mixture to the pan and stir to combine. 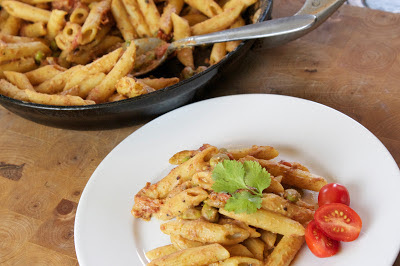 which I might still do Pasta with tomatoes.